Here's the thing about viral conjunctivitis: there is NO treatment that is curative. That's right, when you go to the doctor and they prescribe you sulfacetamide or polytrim, those are antibiotics. And you have a virus. Do you know what an antibiotic does against a virus? Nothing. Most of my patients that go to a walk-in clinic, or even their primary care provider get prescribed a low-strength generic antibiotic for their viral conjunctivitis, and they aren't really educated as to why the doctor is writing this Rx. The antibiotic won't kill the viral infection. But your doctor doesn't have any medicine they can give you anyway, and antibiotics are cheap. The best they can hope to do with an antibiotic is to prevent a secondary bacterial infection (unlikely) but really, it is typically prescribed as just a "that's all I can do" mentality. It can't really hurt, and they don't have anything that can really help. This idea of "not hurting" though is debatable with all the recent data of antibiotic resistance, but I digress. getting some sort of medicinal treatment incorrectly. the limits of these OTC drops. If you see an eye care specialist for viral conjunctivitis, you won't be getting an antibiotic prescription alone. What would really work better is a steroid eye drop at relieving the symptoms, and this is what I typically prescribe if my patients want an Rx to feel better faster. Steroids won't get rid of the virus either, but at least it lessens the redness and crusting so your eyes feel more normal. 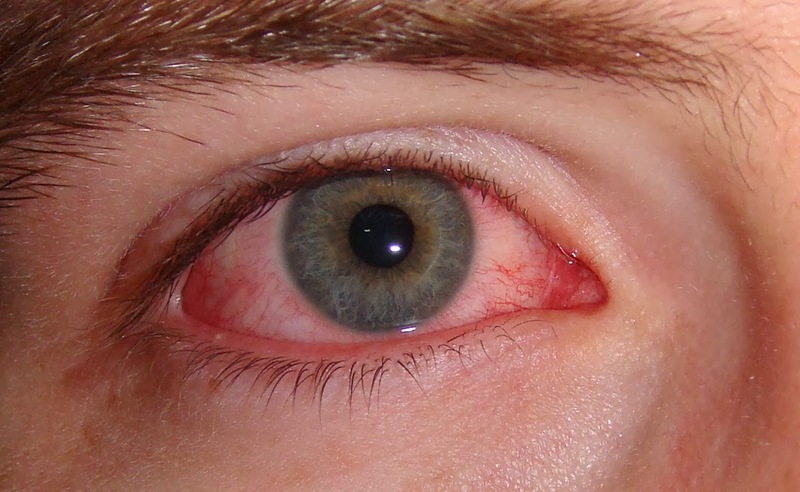 You will still be infected, and still be contagious (just as you are if you use an antibiotic drop), but your eye will feel better because it is less inflamed. Rewetting drops are a more non-aggressive treatment option, used to simply flush viral cells off the eye. You can use any over the counter moisturizing drop, but I especially like preservative free tears due to their lack of toxic preservatives that could further irritate the eye. 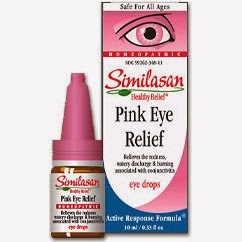 Are you thinking of buying an OTC "pink eye" drop like Similasan? It's just a lubricating effect with a small amount of vasoconstrictor action (shrinks the appearance of blood vessels temporarily) achieved with a belladonna extract. Yes, belladonna, so that means if you get an enlarged pupil while using this stuff you used enough to actually dilate your eye. Again, it will not treat the virus. It just moisturizes your irritated eye and superficially makes your redness decrease (temporarily) by shrinking the diameter of the blood vessels on the eye's surface. I personally like preservative free artificial tears better than these "red eye relief" drops that are misleadingly packaged with a "pink eye" label as if they were some sort of treatment, because at least with preservative free lubricants there are no irritants or dilators on board that could make your eye feel worse. If you have a viral conjunctivitis, the most important thing you can do is wash your hands. You are contagious for about 7 days from the onset of your symptoms, so try to avoid infecting others and re-infecting yourself. That means frequent hand washing, avoid eye rubbing, and wash your pillowcase every morning if your eye was weepy overnight. In 1-2 weeks your body will fight off the virus even without treatment, and you will be back to normal. If you are a contact lens wearer, it is best to avoid lens wear while you are infected, not just for your own comfort but because bathing the contact lens in viral cells all day long, which in turn just locks those viral cells against your eye's surface with nowhere to go, is just going to keep you infected longer. In some severe cases of virus, a betadine treatment in office has been shown to greatly reduce the viral load in the eye. But again, this is not something that you can be prescribed to use at home, and it can be very irritating and toxic to the eye to use a betadine flush. Your eye doctor will be able to discuss pros and cons with you if you are in need of this more aggressive treatment. Remember, only a trained doctor with the correct equipment to examine the eye can differentiate your conjunctivitis from viral, bacterial, or allergic. The treatments for these different types of "pink eye" are vastly different, so I can't encourage you enough to be seen by a professional who can get your eyes back to normal and healthy as fast as possible.